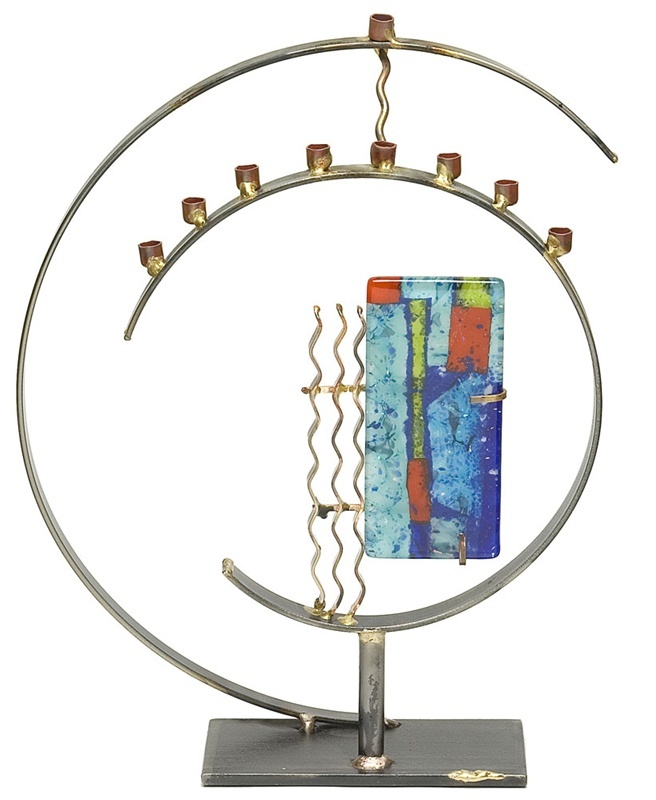 New contemporary design in the Gary Rosenthal tradition of combining sculptured metals with brilliant fused glass to enhance your Hanukkah celebration. 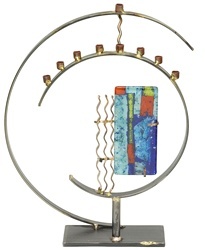 Fused glass colors will vary from piece to piece on this custom item. 15” high.